Most older homes in Toronto and all over Canada are made of wood and so they had to be made small as the materials are not energy efficient or insulated. But as the new ideas and technologies emerge, the constructors have moved on to more and more efficient materials in order to save time, money and provide better comfort. So what is the best material for modern windows to provide you with proper sound proofing, energy efficiency and low maintenance costs? Please allow us to tell you about the latest window building trend - vinyl windows. 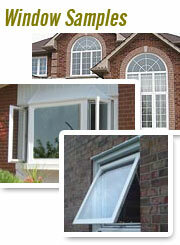 The Unplasticized Polyvinyl Chloride, which is generally known as UPVC, is the material for vinyl windows production. It is very popular for many reasons - it does not crack, flake, blister or peel. The scratches are not noticeable as they remain white, replacement of windows won't take a lot of time. The windows do not need to be painted or repaired as the material remains the same over time while wooden windows go stale and shabby. They are made with many hermetic cameras inside of them, so they will protect you and your family from the street noise. They will not let draughts through and they will also help reduce the electricity bills as they will not let the cold air from the outside when closed. The UPVC is nontoxic and benign. In fact, vinyl windows give the best amount of insulation than fiberglass, wood or aluminum. Combine it with double plated glass and you will get even better insulation. The windows will have no condensed water vapor on them. Possible prices of Vinyl windows No need to worry about storms, strong winds or change of weather as your windows are reliable enough for you to know they will not crack under bad conditions. Another great advantage is that you can have any shape you like. Custom make them to fit the design. You can have as many segments as you like. You can even pick the shape and color. You can also decide on the number of cameras and insulation. At Us you can choose the perfect Vinyl Windows Options and Accessories. If you go for a standard window, the replacement will be really quick although custom made windows to fit specific designs could take some time to be shaped and produced for you. You will also have to be specific about the color as vinyl cannot be painted and if you want to change the window color, you will need to replace the windows again. Once installed vinyl windows will serve you forever. As you can see, affordability, ease of use and efficiency make this material really good for family homes. Choose Vinyl windows for your home and see what differences they can make! Why you should replace your old windows? 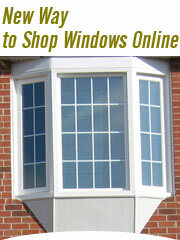 Get FREE Replacement Window Prices Online. Checkout the gorgeous and energy-efficient Vinyl Replacement Windows installed throughout Greater Toronto Area (GTA) including Toronto, Mississauga, Oakville, Barrie, Richmond Hill, Markham, Ajax, Etobicoke, Brampton, Aurora and Oshawa.